This was a very special event for me and a dream come true. 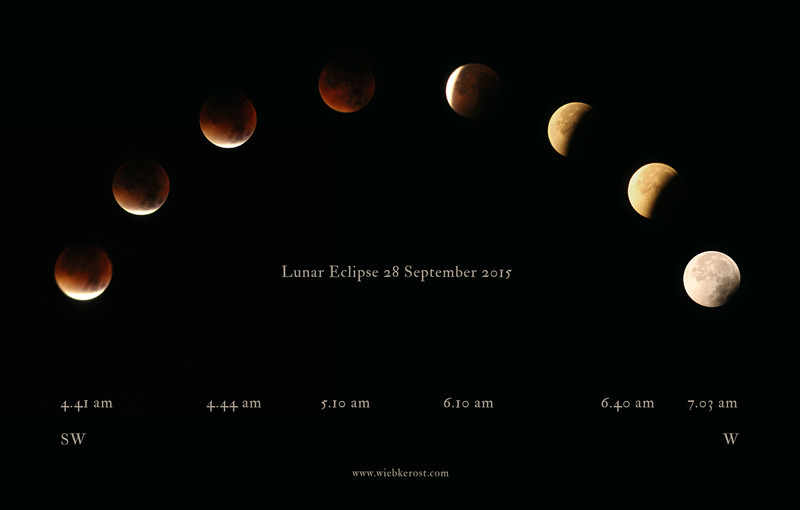 I have experienced the “blood moon” that occurs during a lunar eclipse intensely and in different ways before, each time doing workings of a different nature. But I have never actually seen one. Instead clouds and bad weather. Would tonight be different? 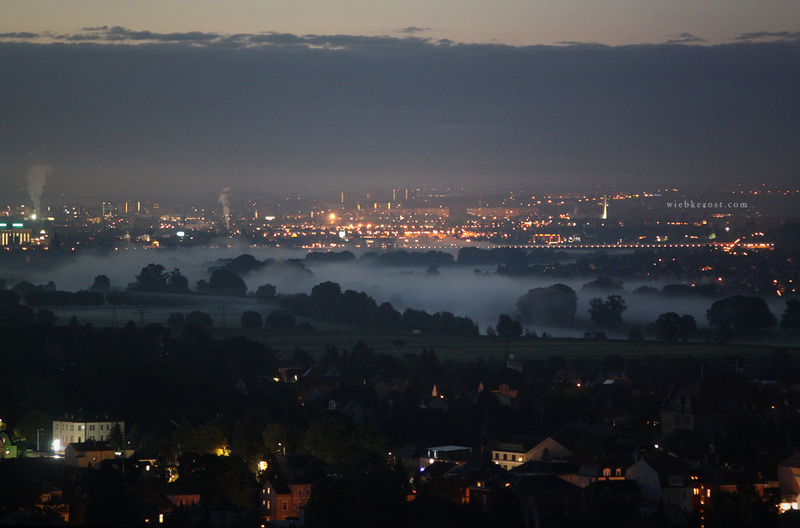 Temperatures had gone down to 5 °C, the South-Western sky was dark and cloudy. Occasionally a thin silvery sickle and finally only a dark red spectre gleamed up behind black clouds only to vanish again in darkness a few seconds later. 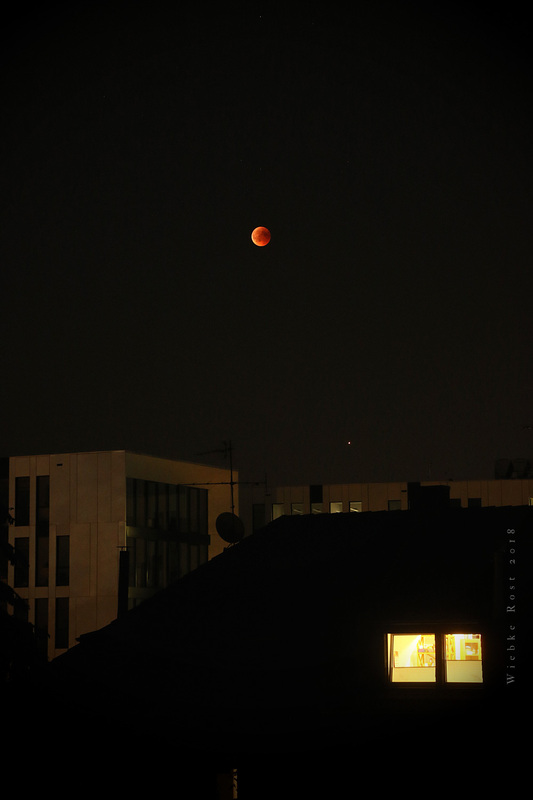 It was still mesmerizing to watch, as if the bleeding moon wanted to hide and veil itself as it fully immersed in the shadow of the earth. I took some more or less blurry photos during this period, which are pasted into one image below. 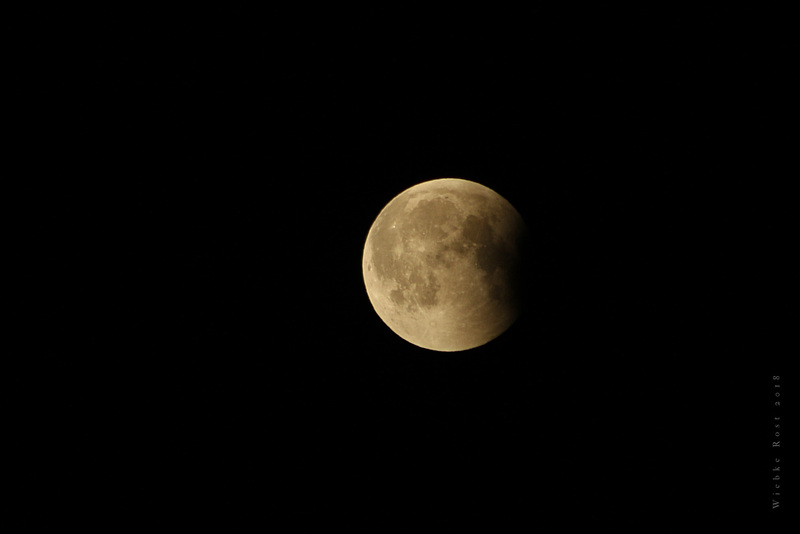 But the truly spectacular moment was when the moon emerged from the earth’s shadow. 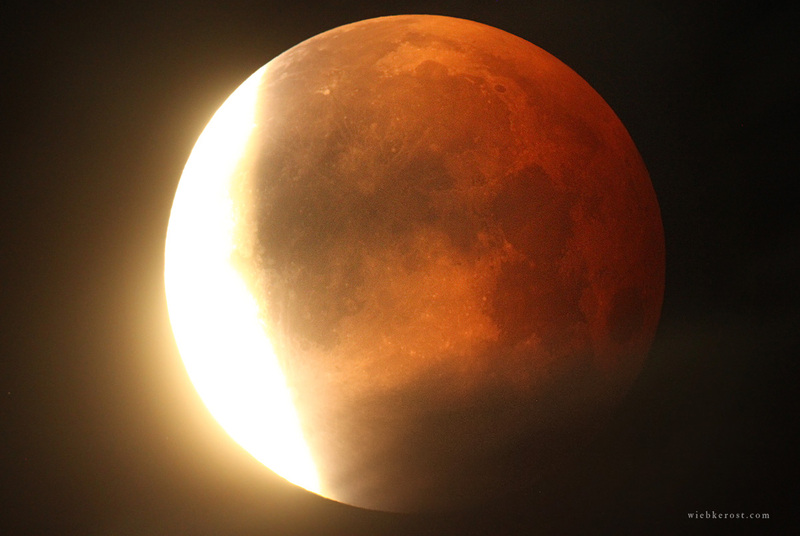 This was also the moment I captured through the telescope and which you see on the title image. 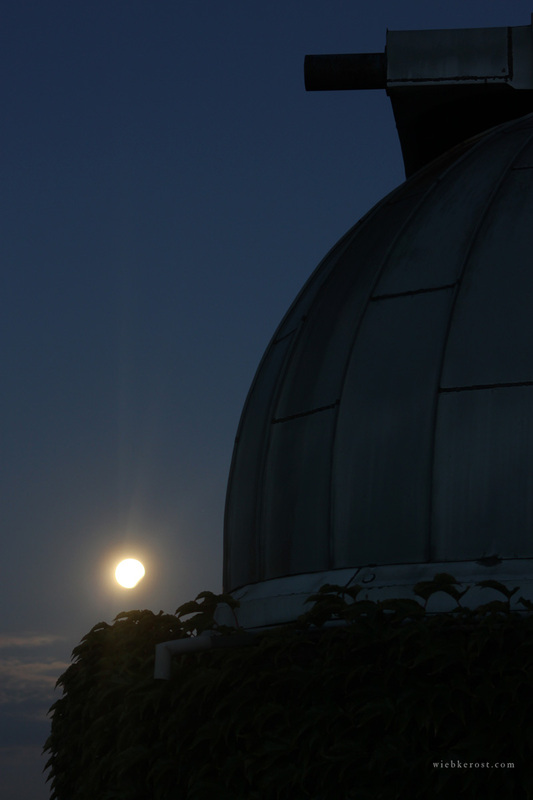 This photo would not have been possible without the help of Martin and the rest of the team at the Sternwarte, who offered their telescopes and qualified advice to other attendants. 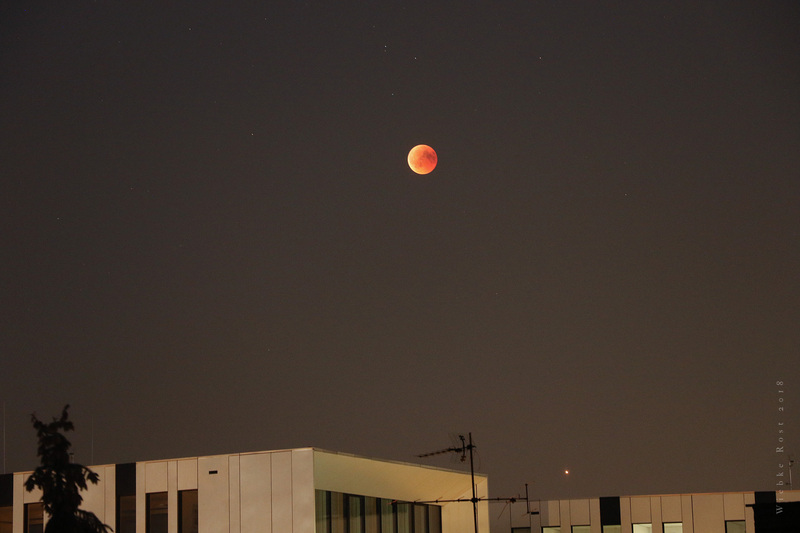 On this night I also got to observe other celestial bodies. This being my second visit to the observatory, the solar eclipse in March now followed by the lunar eclipse of September, which was closing the cycle of eclipses for this year. As the Northern sky cleared up we were shown for example galaxies M 82 and M 83. 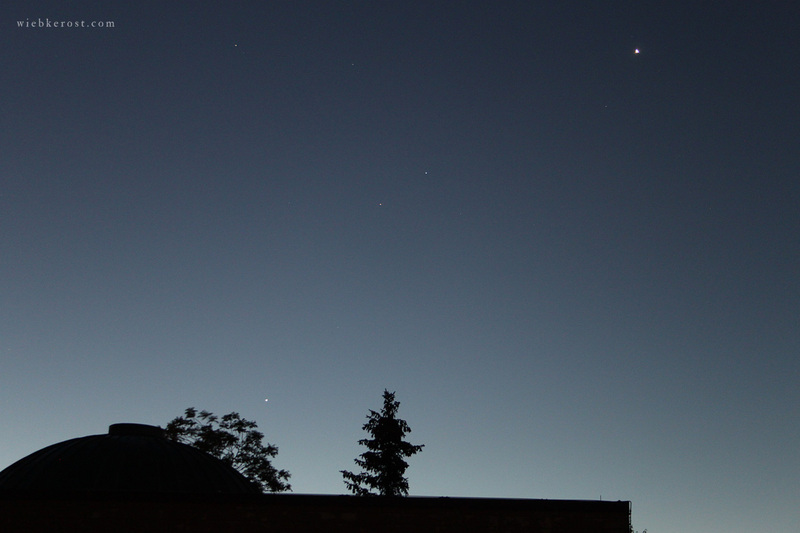 Venus rose above the planetarium, followed by Mars (then located beneath Regulus and the constellation Leo) and Jupiter, who’s moons and bands could be seen through the large reflecting telescope. Below you see the three planets align above the planetarium in the East. They will be joined by Mercury in October. Further South-East the Orion nebula was barely visible with the naked eye but through the telescope one could clearly see the luminescent “wings” of the gas cloud as well as four bright stars across the nebula, which I assume were the trapezium cluster. The “nebula” is also known as M 42. It is part of a large gas cloud spanning all the way through Orion, but only parts of this cloud are visible. We learnt back in the days of renaissance astronomy and comet hunting anything that was not a comet and could not be defined nearer was called a “nebula”. Today we know new stars are born inside the gas cloud, which ionize the surrounding hydrogen molecules, causing them to beam. 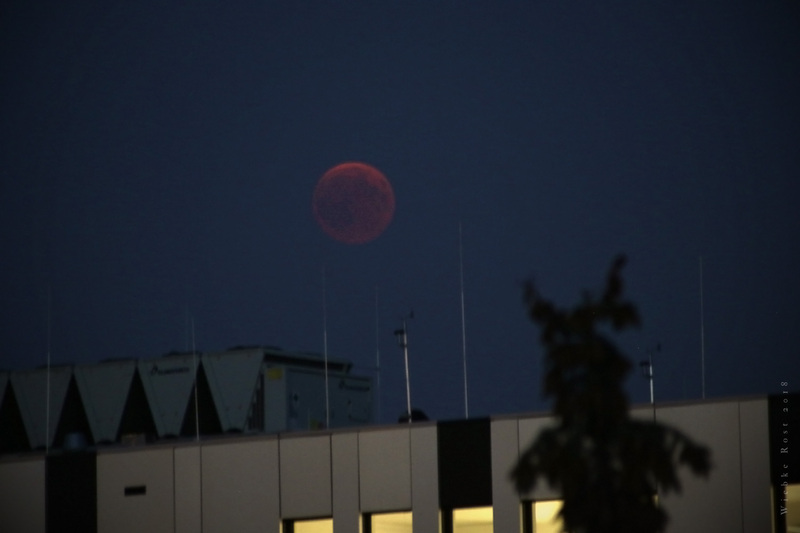 In the meantime the sky had cleared up and we could now see the moon in all its glory, as it was exiting the earth’s umbra and penumbra before setting in the West. 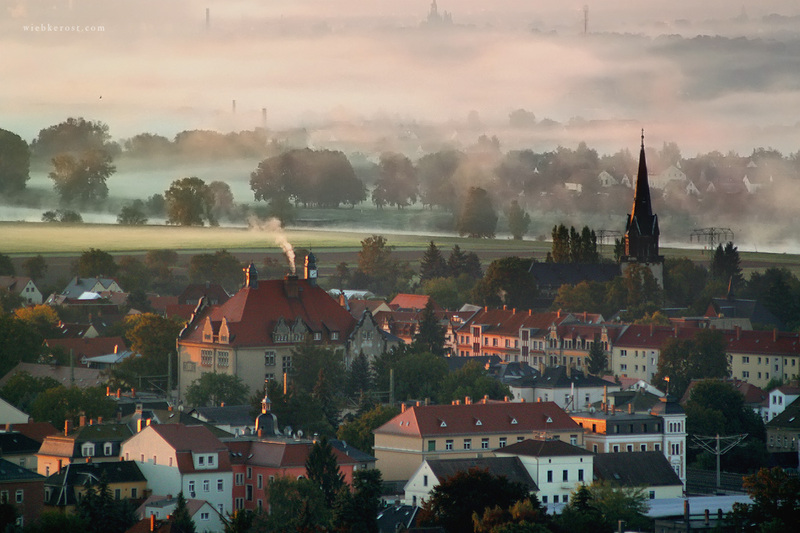 At dawn we were also rewarded with a magical view over the Elbe valley, where fog was gathering and the city was slowly waking up. Exhausted and happy we waited for the sun to rise.